When you choose to call Bridge Creek Apartments home, you choose a life of convenience in a city you love. 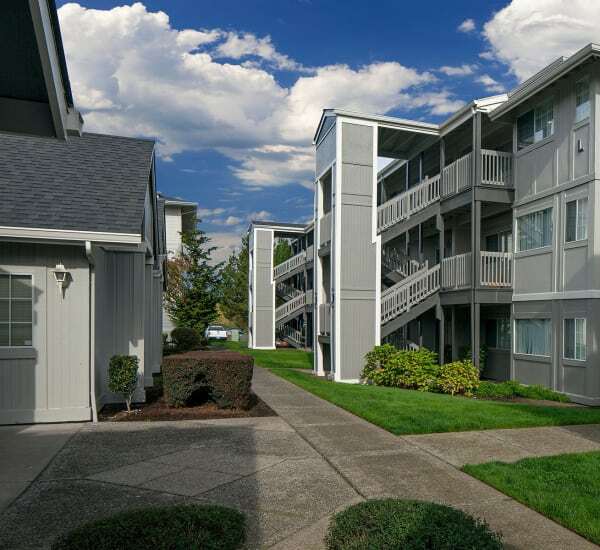 Our pet-friendly one, two, and three bedroom apartments in Vancouver, WA, near Salmon Creek are perfectly situated close to everyday needs and wants, like shopping, banking, entertainment, and major highways. I-5 and I-205 are close by, giving you easy access to where you need to be. We’re also a short commute to downtown Portland and Portland International Airport. Pair the lush landscape that surrounds our property and the convenient location, and Bridge Creek Apartments is everything you’re looking for in a home. Our neighborhood near Salmon Creek Regional Park puts you close to everyday conveniences like work and school, as well as the best shopping, dining, and entertainment in Vancouver. Grab a slice and a beer at the neighborhood pizza joint, Blind Onion Pizza & Pub. Take the kids shopping at the Vancouver Mall. And for a fun day of adventure, head out to Ridgefield for wine tasting and wildlife reserve exploration. Whatever it is you crave, find it close to Bridge Creek Apartments. Tour our community and neighborhood near Salmon Creek. Give us a call today.